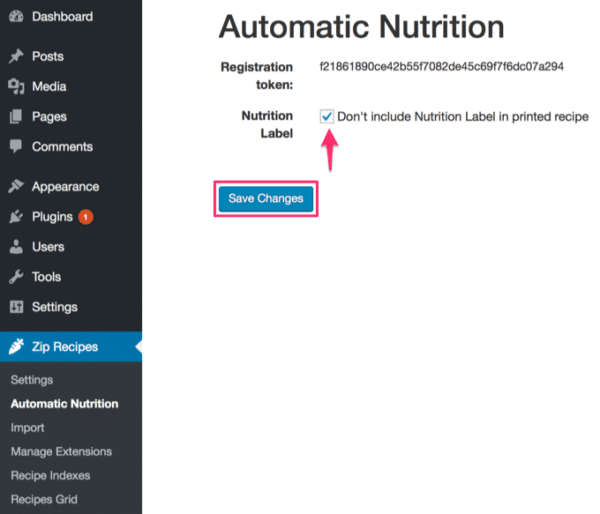 As of the most recent version, there’s no setup needed for Automatic Nutrition. You should have your license activated, which is used as authentication. 1. 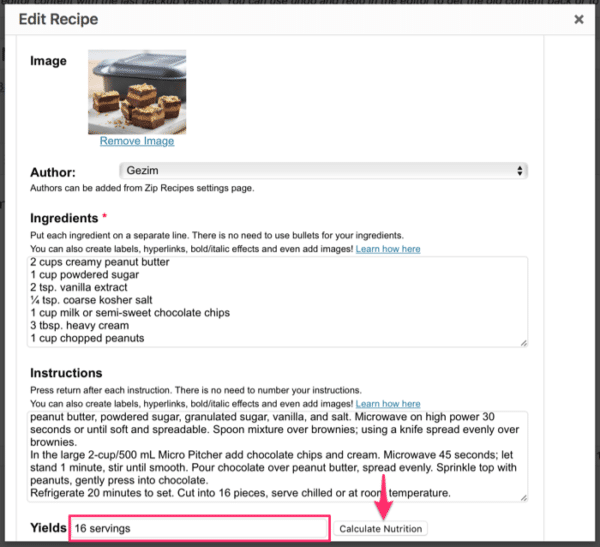 Go to Posts > Add New to create a new post for the recipe. 2. 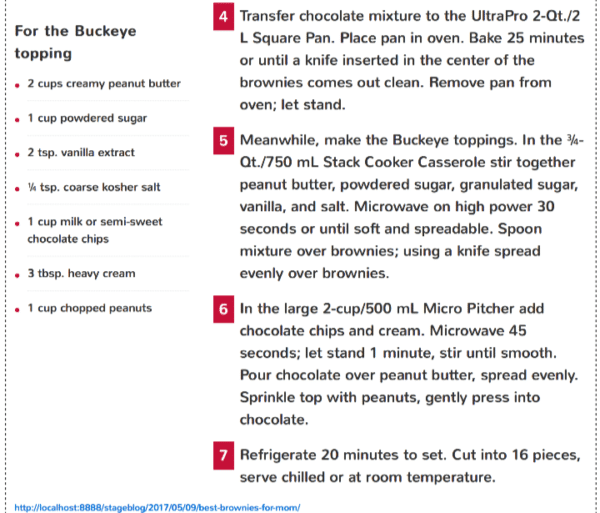 In this example, we will create a recipe called, `Best Brownies For Mom` so enter that as the post title. This was borrowed from Tupperware. 4. 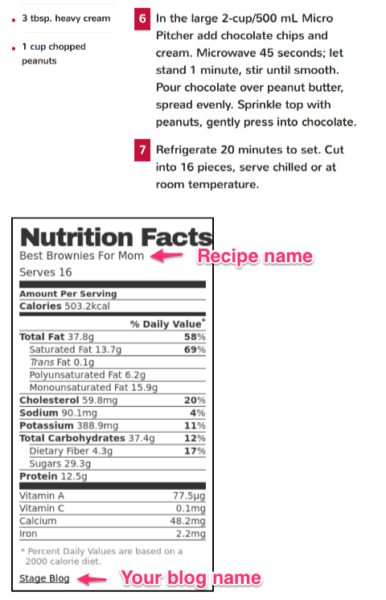 Select your image, author, and then enter the Ingredients, and Instructions. 7. 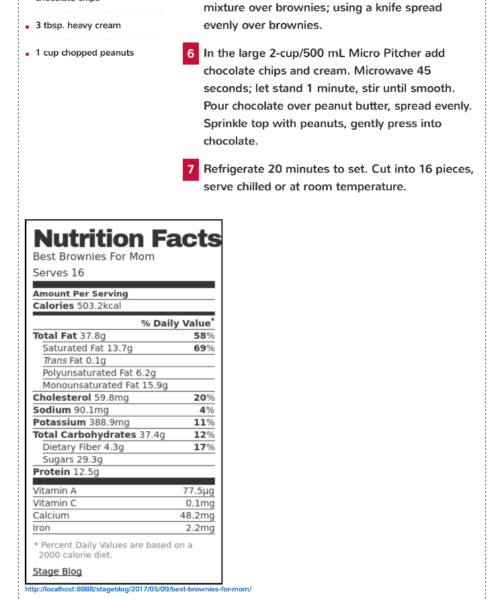 Click Add Recipe, and then view the published recipe with nutrition label. 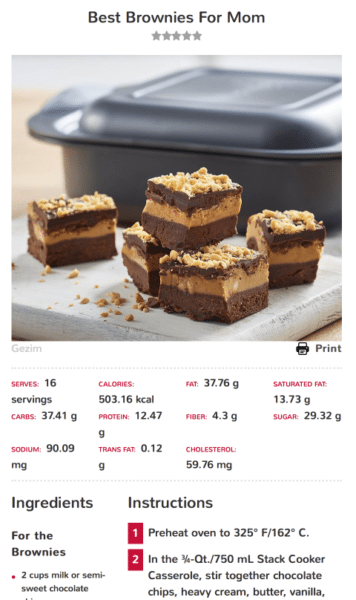 In this example, we’re using the Canada premium recipe card theme. If you follow these guideline you will ensure that Zip Recipes will always correctly recognise the content of your recipe. There is really one basic rule – if another person can understand an ingredient line you wrote without having to stop and think about what it contains, then we will understand it correctly too. For stocks and broths, include stock or broth in the recipe title, so we can accurately calculate the remaining nutritional value once it’s strained. 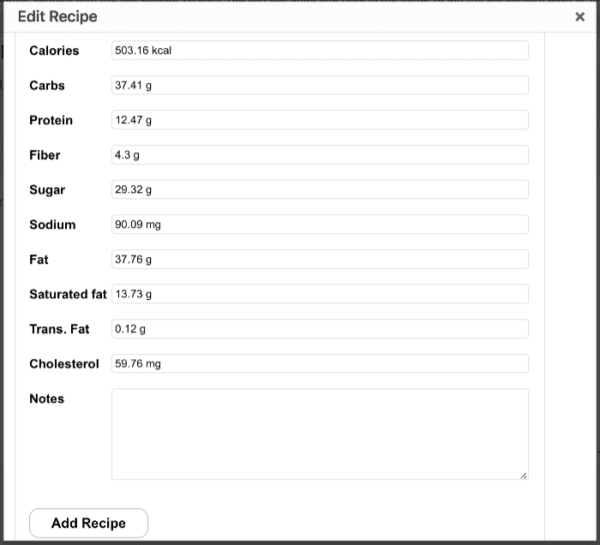 You can also choose not to let the nutrition label appear in printed recipes.